The first Canon rumors of 2013 from a Japanese magazine. 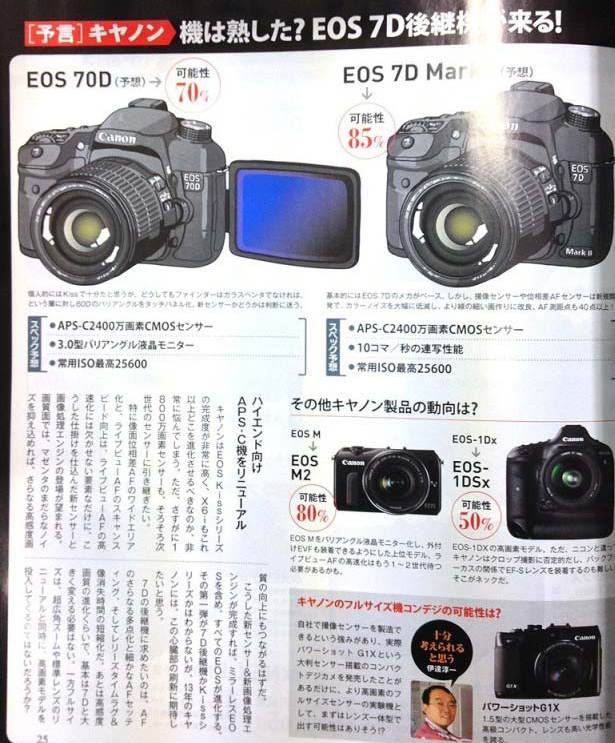 The long awaited EOS-7D MK II may have a new sensor and comes with 10 fps and expandable ISO up to 25600. The EOS-70D and EOS-M MK II cameras will arrive around the first quarter of 2013. The eagerly anticipated, new full frame megapixel camera maybe called EOS-1Ds X. No earth-shattering predictions and mostly already reported on my earlier posts. Suffice to say 2013 will be another interesting year for us from Canon Japan. When is my EF 200-400mm f/4 lens coming?